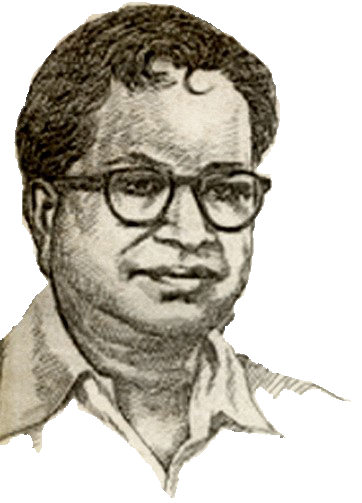 Madurai Mani Iyer was undeniably one of the greatest exponents of Carnatic music. In fact, it wouldn’t be out of place to declare him among the best musicians India has ever produced. Tales of overflowing audience held in trance during his concerts which often spilled over midnight, or Ricksha-wallahs refusing any passengers until the end of his concert bear testimony to this statement. 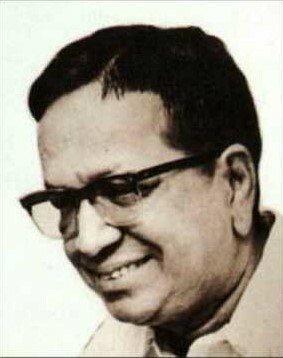 Mani Iyer was both a people’s and a pundit’s musician. His music could effortlessly sway a music scholar and a novice at the same time. 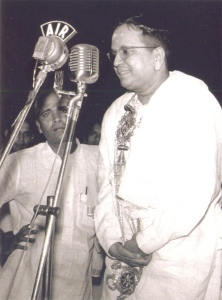 In his time, he was largely responsible for bringing Carnatic music to the masses, and his ability to attract uninitiated listeners of Carnatic music is unsurpassed and remains undiminished, even 49 years after his demise. Words such as “Genius” and “inimitable” are usually used to describe his music. However, confining his music to an adjective really does not do justice to it. His music is something divine, it’s a bridge which connects to a place that is otherwise inaccessible to us mortals. It’s an experience. This website hopes to serve not only as a tribute to the great man and his music, but also as a beacon that spreads his music far and wide. We have tried to make this website interactive so that it becomes a forum for sharing information on Mani Iyer. The blog is open to all and we invite everyone to make a contribution to it. Anything related to Madurai Mani Iyer, be it anecdotes, information, thoughts, analysis of his music, tributes, listening experiences etc. can be shared here. We hope that all of your comments and contributions will create a rich repository of information and provide a greater insight into the life of Ganakaladhara Sri. 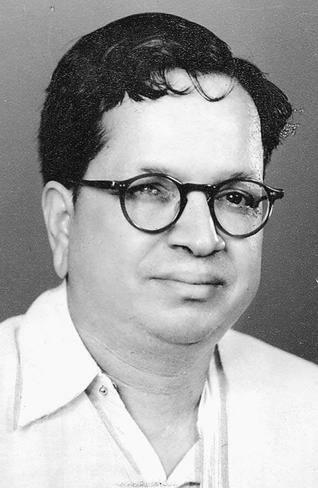 Madurai Mani Iyer.